Dental implants are a terrific solution to missing teeth. In recent years, the benefits of implants have caused many dentists to utilize implants as the preferred treatment. Fort Myers dentist, Drs. Bass and Donovan Dentistry are proud to offer dental implant treatment for the residents of Ft. Myers and surrounding communities. 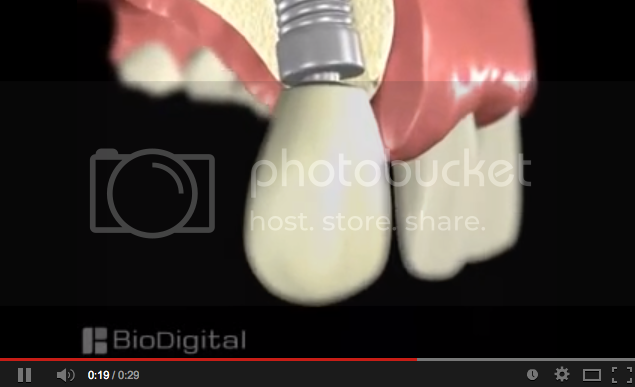 Dental implants essentially are a titanium replacement for a tooth root. They are a permanent treatment to replace a missing tooth or multiple missing teeth. In addition they are a proven method to provide support for dentures so there is no slipping and sliding. Just like real teeth, implants are anchored into the jaw bone so they appear, feel, and work like the healthy natural teeth. Implants can provide a single tooth solution to a single tooth problem and result in a healthy natural looking smile. There are many reasons to consider implants if you are missing a tooth or teeth, just as there are many reasons for missing teeth. Gum disease that has progressed so far as to destroy bone, accidents, or teeth that never erupted are situations that implants can be effective. Bridges and partial dentures do not anchor themselves and rely on neighboring teeth for structural support. 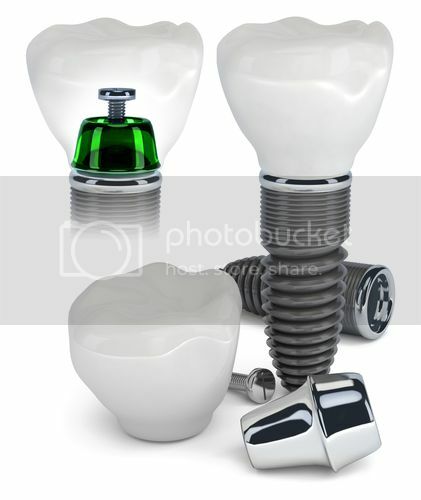 Implants, on the other hand, do not require support from the healthy adjacent teeth. This allows us to offer a single tooth solution for a single tooth problem. There are several steps to the implant procedure. First, a comprehensive exam and radiographic evaluation are performed to determine if you are a candidate for implants. A thorough consultation then is given before the procedure can commence. These steps are performed in order to ensure that there is sufficient jawbone height, depth, and health to accommodate implants. A small canal is then created in the bone and the implant is gently placed in the canal. The implant replaces the root structure for the lost tooth and anchors it into the remaining bone. If the implant sits in a visible location, a temporary crown can be placed so to accommodate esthetics. This will stay there until the jawbone grows together with the titanium from the implant. This gives the system strength and stability. Next an abutment is added on top of the implant. The abutment essentially connects the implant with the “crown”. The crown is the visible replacement of the tooth that sits above the gum-line. Following abutment placement the gum tissues will return to health over the course of a few weeks. After this process, the crown is placed. The result is a healthy looking and functional tooth replacement. There is not a simple answer to this question. There are advantages and disadvantages of both. In addition, there are situations that dictate one of these procedures over the other. Dentures have advantages over implants in a few ways. First, a denture can be a more cost effective treatment for the replacement of a tooth and that advantage compounds when several to many teeth are involved. In addition, some patients do not have sufficient bone height, width, or health to allow for implants. Implants have some great advantages over traditional dentures. First, the jawbone relies on the signaling from the pressures of the teeth for health. When a tooth is lost, that signaling is lost and the supporting bone begins to resorb. The bone essentially reduces itself and retracts. Dentures do not provide that signaling and bone will eventually retract away so much that treatment is near impossible. Implants solve that problem because they are anchored into the bone. In addition, implants feel much more like natural teeth for the same reason. While no dental treatment can be considered permanent, implants are designed to last for a lifetime. Finally, as stated above, implants do not require the assistance of neighboring teeth for support. This will allow you to keep the teeth that you currently have in good health for as long as possible.